We especially love that the couple trusted our team enough to hand off the baton before their Big Day, allowing us to work our wedding design magic while they worked their day jobs. 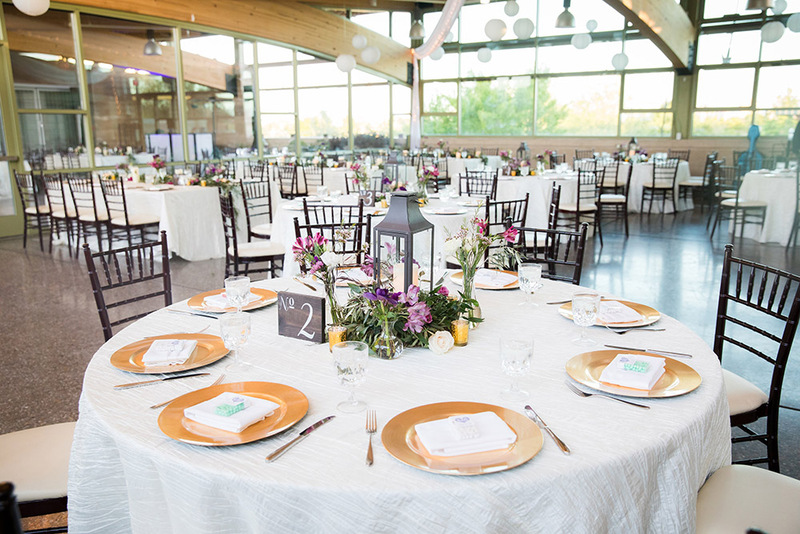 Because they’re both attorneys and had little time for wedding planning, they asked our Weddings By Dzign team to execute the floral, décor and coordination for their stunning Springs Preserve wedding—and we were honored to take on each one of those roles for them. Kim provided us with high-level direction on aesthetics, but let our team iron out all of the details so she and her fiancé could enjoy their time as an engaged couple. “I told our wedding planner, Lucia, that I pictured the wedding looking like a ‘secret garden dripping in glitter,” Kim said. “I definitely wanted to play up the natural beauty of the Springs Preserve. 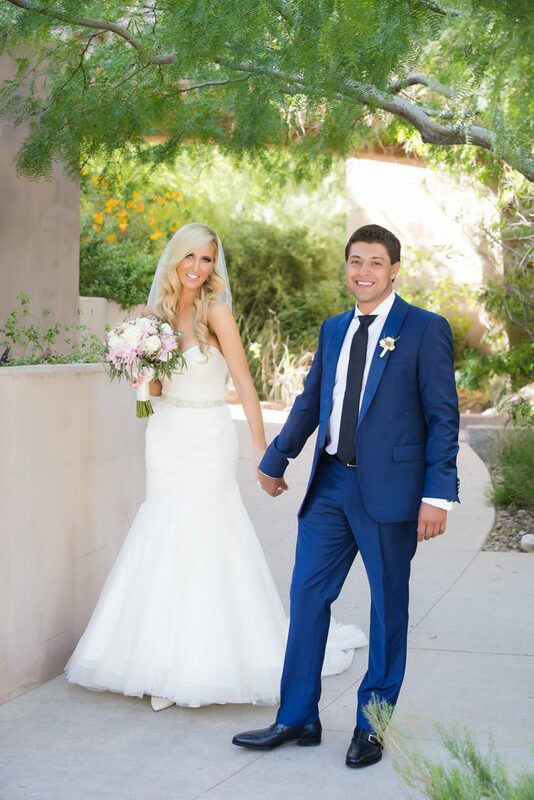 Essentially, we wanted an enchanted, bright spring feel, but with some Vegas mystique to it.” We worked with varying shades of purple, then, to bring the bride’s Secret Garden dream to life, adding accents of gold throughout to add that Vegas mystique she and Garnet were looking for. 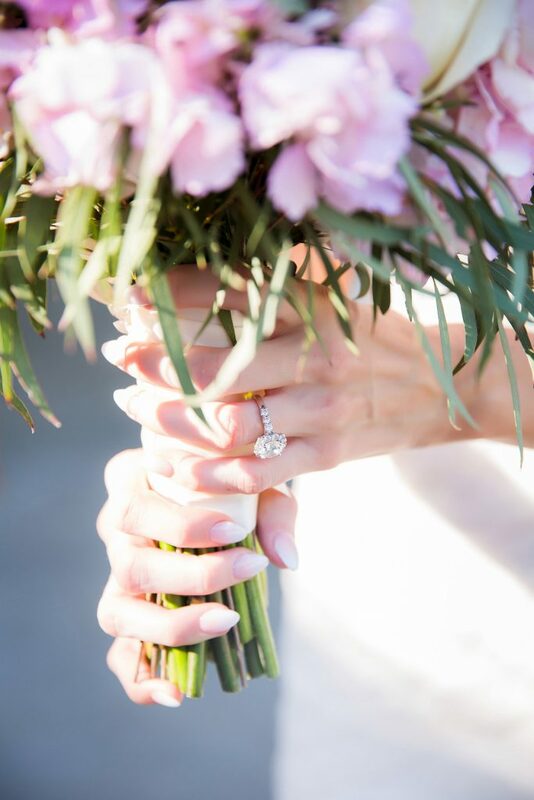 For Kim’s bouquet, Floral By Dzign crafted a loose bouquet of lavender hydrangea, ivory garden roses, ranunculus, lavender wax flower and seeded eucalyptus. We tied the arrangement off with a simple ivory satin ribbon, and the bright-but-subtle springtime florals looked absolutely stunning against Kim’s show-stopping gown. We then created a simple boutonniere of white ranunculus accented with lavender wax flower and seeded eucalyptus for Garnet, which popped beautifully against the jaw-dropping saturated blue hue of his suit. For the ceremony space, we worked with the Springs Preserve’s existing arbor to create an altar space that felt a little organic, a little whimsical and a whole-lot Secret Garden-esque. We added simple white chiffon to help draw guests’ eyes to the altar, and accented the chiffon with a greenery garland that housed perfect pops of purple floral blooms. To help define the aisle, we lined it with LED pillar candles, romantic lanterns and loose ivory rose petals. 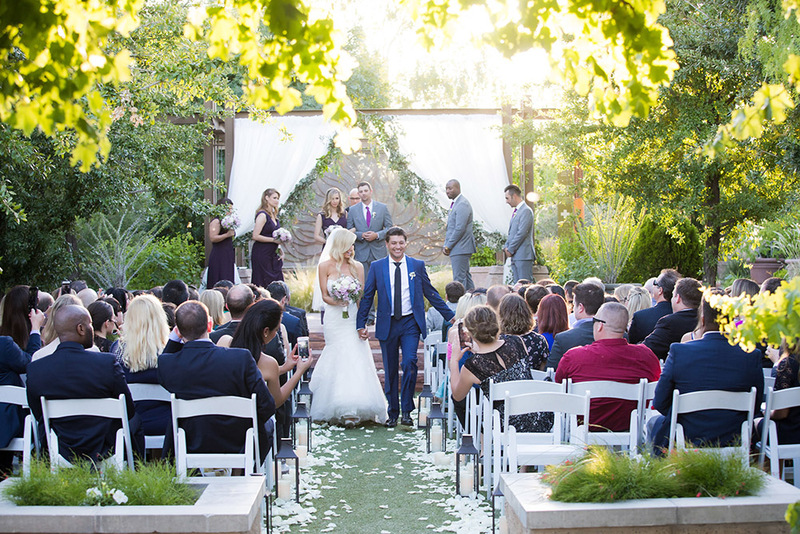 The end result was a ceremony space that felt both magical and mystical at once. Following the ceremony, guests made their way to cocktail hour, where we peppered the space with high cocktail rounds, which Linen By Dzign dressed in a simple-but-stunning lavender luxe linen. 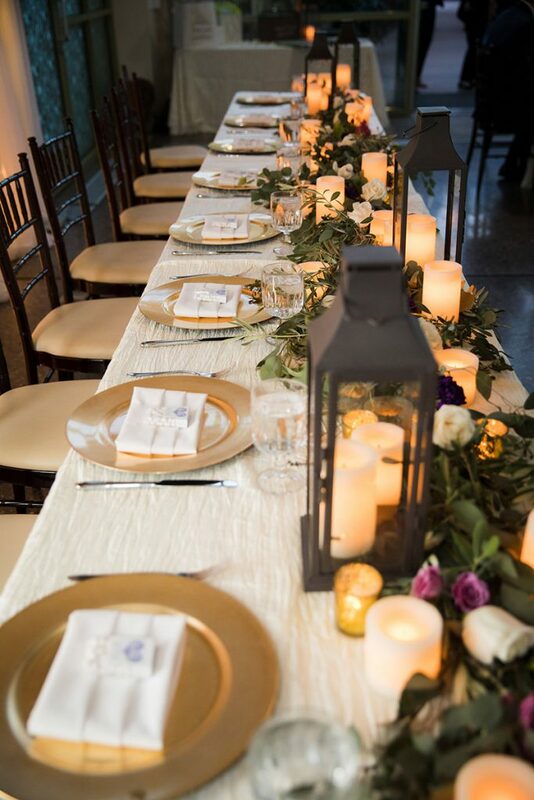 We then accented each table with loose greenery and gold mercury votives for a touch of enchantment. Guests then moved indoors where they dined amongst a space that felt just as magical and organic as the garden they just came from. Linen By Dzign dressed reception tables in ivory accordion linen, which really worked to add some texture and depth to the tablescapes. 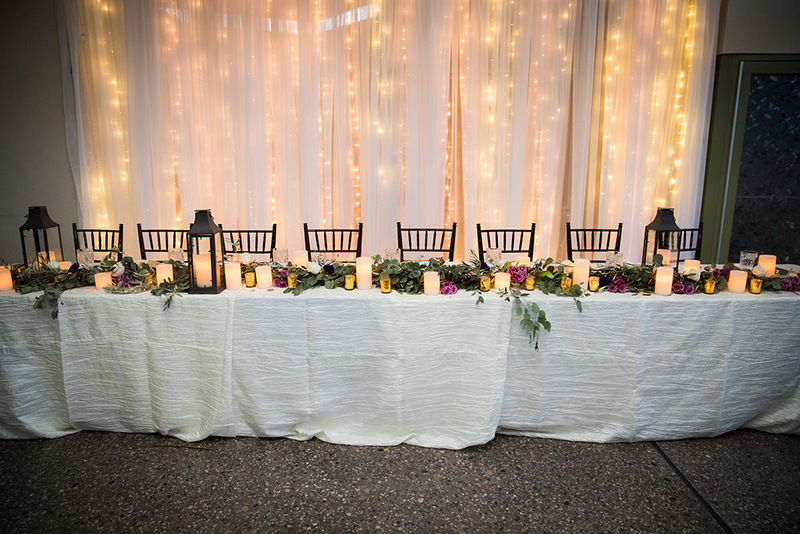 We then worked to bring the outdoors in, by accenting long, linear tables with a loose greenery garland runner, which housed purple and ivory floral blooms and pops of glass bud vases filled with simple garden blooms. 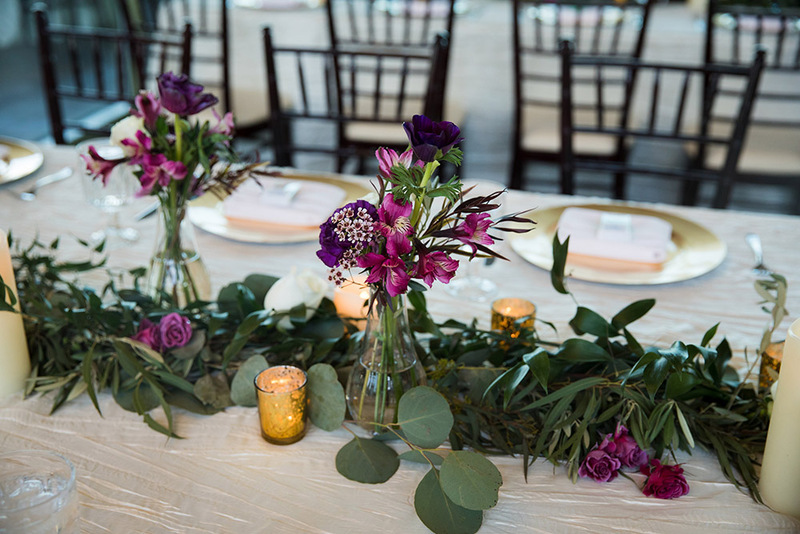 For round tables, we created centerpieces of a single lantern housing a pillar candle surrounded by glass bud vases housing purple floral booms, and loose pieces of greenery—ultimately creating centerpieces that felt both earthy and fit for a royal garden. We then accented each table setting with gold lacquer chargers and simple ivory napkins, and framed each table in gold chiavari chairs. Perhaps our favorite part of the reception, though, was the head table, which housed a lush greenery garland, mood-setting lanterns and pops of loose purple florals throughout. We created a backdrop of suspended twinkle lights against hanging white chiffon for the head table, which really helped to draw guests’ eyes to the area and to create a space all of its own for the wedding party and bride and groom. 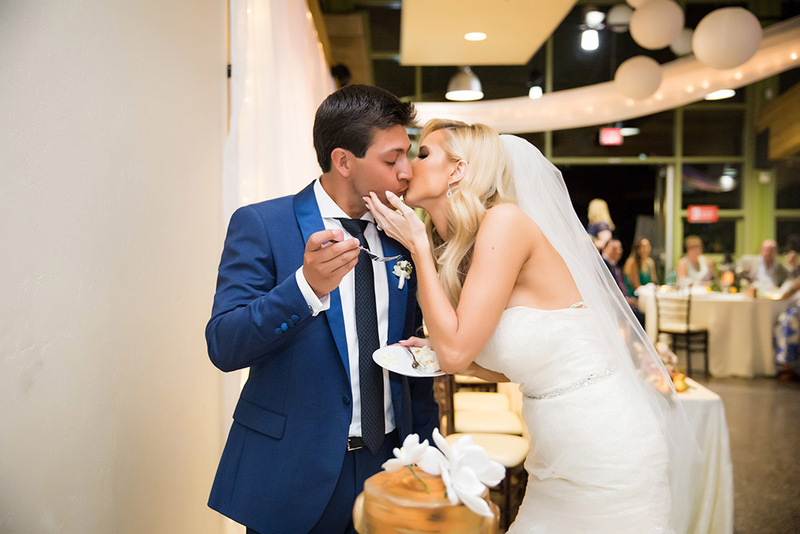 Overall, we were beyond honored to help bring this beautiful couple’s Secret Garden at the Springs Preserve wedding vision to life, and we couldn’t be happier with how this whimsical and enchanted affair turned out. 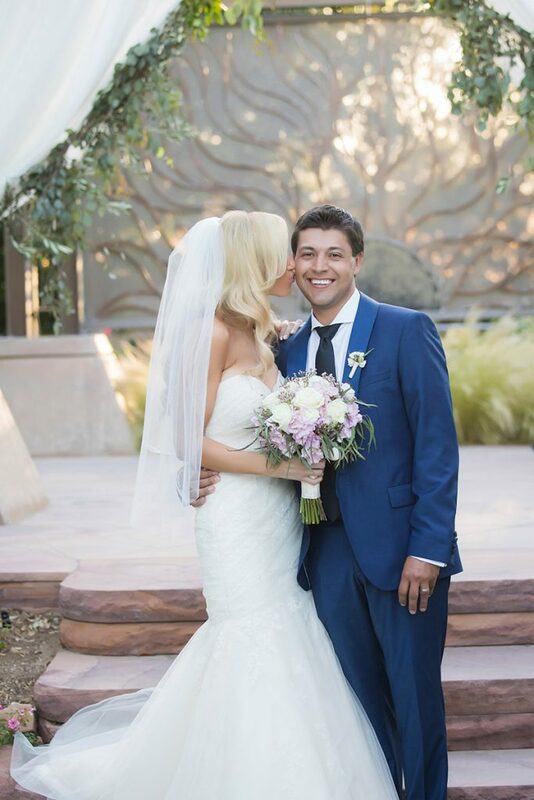 “My family and guests could not say enough about the stunning décor at my wedding! Lucia and the By Dzign created the enchanted ‘secret garden’ feel I was going for – it was absolutely stunning!! She took my somewhat vague description and myriad of random Pinterest photos and married the ideas, themes, and colors together perfectly while keeping the integrity of our wedding venue. On top of it all, Lucia remains calm, cool and collected. She handled any hiccups with ease – i.e., like the groom’s father running a little late and finding us a limo home at the last minute.